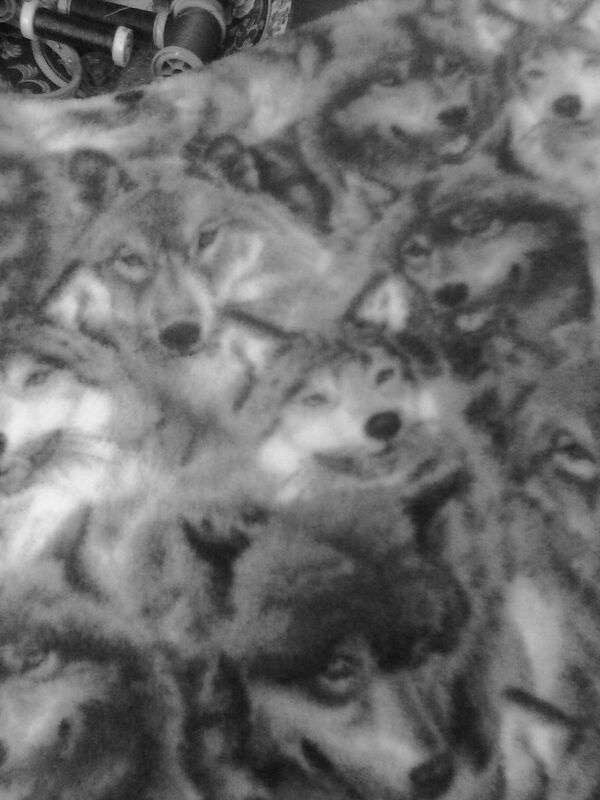 While at Hobby Lobby this weekend I picked up 2 yards of this fleece. My Love had requested a blanket. Easy. Sure. I got this. This is now day 2 of the blanket project. Day 1: upper thread brakes twice, lower thread brakes once, stitching gets wonky, wonky stitches removed, stitches go wonky (again), stitches removed (again). Day 2: rethreading machine, start with new needle, realize the problem is the selected stitch, change stitches (I will fix it so no one will tell), realize I can not hide the stitches and be happy with how it looks, cut off all sewing that took place thus far. So now I have slightly under 2 yards of fabric and will start again tomorrow. Despite all this I am enjoying myself.